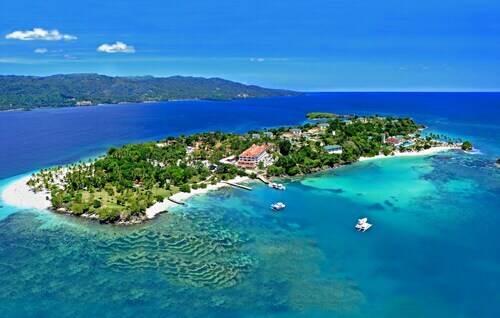 Get immediate savings by purchasing a Samana travel package. Just pick out your favorite options and let Expedia do the rest. Savvy vacationers who book a package deal on Expedia will save as much as C$590*. Search our international database of more than 400 partner airlines and 321,000 properties worldwide. Too many to pick from? Don't stress — we'll help you decide! You never have to worry about postponing your group's vacation plans, as we don't charge additional cancellation fees for almost all of our reservations. It can be enjoyable to just wander the streets when you're in a new place, but sometimes it's a good idea to have a plan. 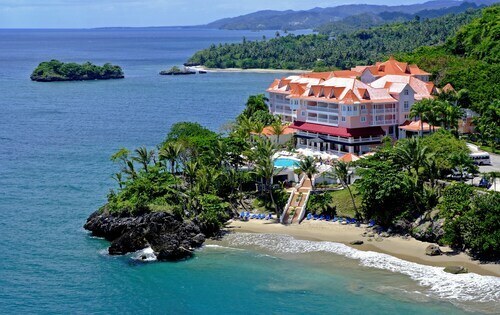 Grab your travel schedule — we've got some fantastic ideas for your forthcoming Samana vacation. Our planet is full of fascinating creatures, plants and discoveries. A tour of Whale Museum of Samana will give you a closer look at the science of our natural world. There's a fabulous range of things to do in this destination. Leave the history journals! Let the past spring to life at Tainopark. Still have some time on your hands? Water transportation forever changed the world and remains an important component of the global economy. Swing by Shipwreck Museum and delve into some interesting nautical history. Life is either a magnificent adventure or nothing at all, so why not plunge into some new and interesting experiences? 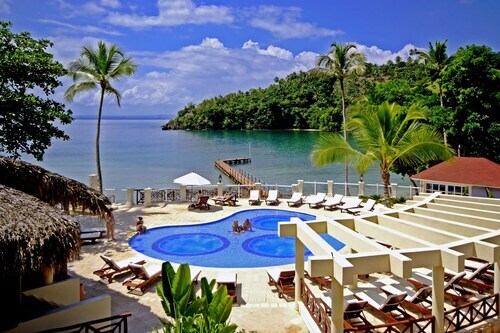 Take a look at our Samana things to do page for a full list of activities. 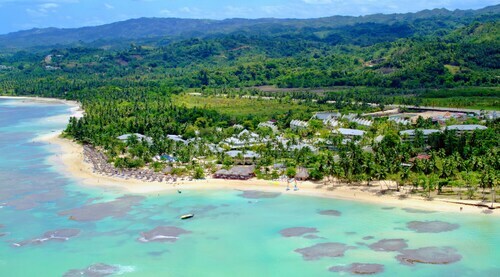 Accommodations in Samana are few and far between. With just 7 options, you shouldn't leave it up until the last second. But don't worry — Expedia is the home of the best luxury getaways and cheap vacations. If you haven't got time to search the internet for hours for somewhere to stay, why not go with one of our favorites? 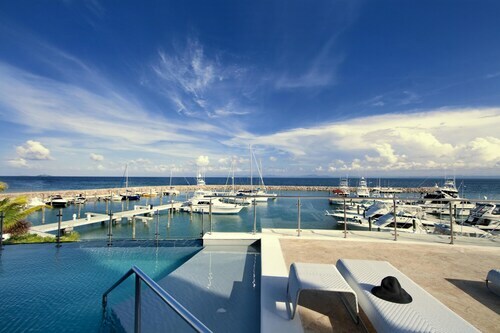 The Luxury Bahia Principe Cayo Levantado-All Inclusive/All Adult and The Bannister - Hotel & Yacht Club are some of the most popular properties here. Positioned just 60 miles (97 km) away, Las Americas International Airport (SDQ) is the nearest terminal to your destination. Check that your seat belt is secure and make sure your seat is in the upright position — your well-deserved trip to Samana is about to begin! Frequently touted as one of the world’s best, this remote and immaculate white-sand beach is framed by palms and lush mountains. Take a boat tour through mangrove swamps, past ancient pirate coves and into protected forests in this picturesque reserve. Take a daytrip north of Samana to these waterfalls where you can swim, learn from friendly locals and ride on horseback through the mountainous landscape. This idyllic island resort takes you out of everyday life and into a Caribbean paradise of palm-speckled beaches and villa accommodation. Property in front of the beach and a cute little bar. It’s a very friendly disability. It had ramps and the hotel made sure my room was close to everything. I have arthritis and the cart ride to the beach is a plus for me. Nice and secluded. Entertainment crew was very fun and energetic. 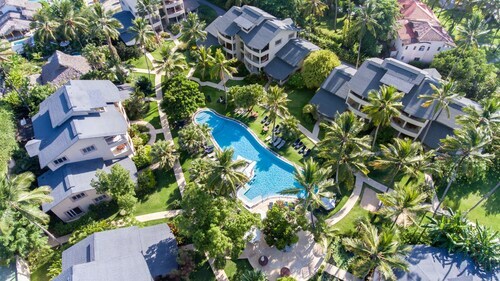 Location, beach, pool, and services were excellent.